Extremely concentrated – 1 ml makes 100 liters. One 20 ml bottle makes 2000 liters. Non-toxic and completely inert; does not interact with the plant in any way. 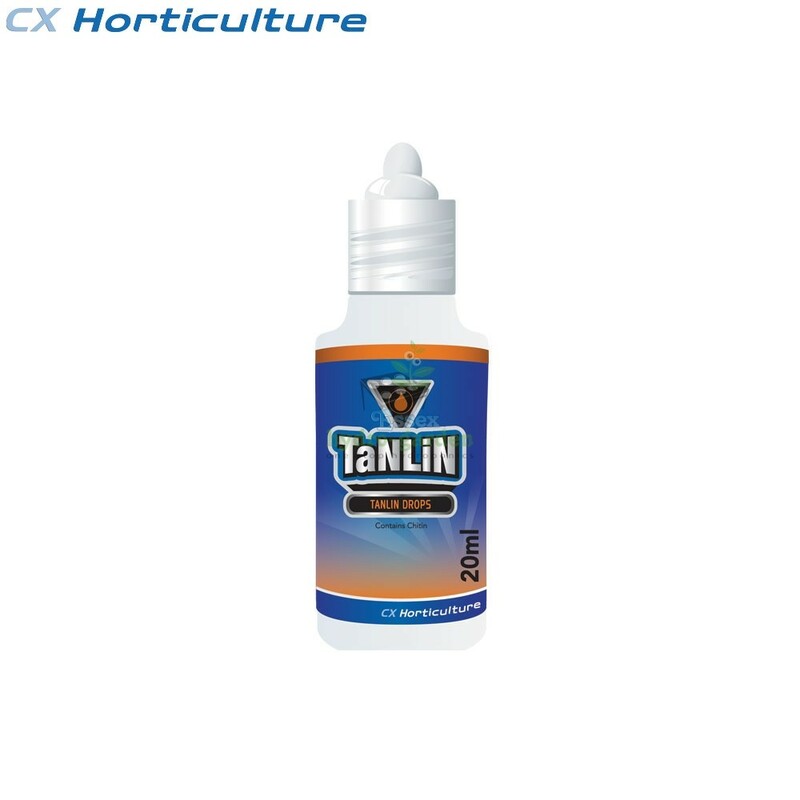 TaNLiN, like all other CX Horticulture products, is designed specifically for consumable crops. TaNLiN is a 100% Safe and Effective Remedy against Sciarid Fly which should be added to your regular feed once a week at 1 ml (40 drops) per 100 L (25 gal). For more intensive use, treat with TaNLiN every three days in the following methods: Soil/Coco: Mix 2 drops per 4 L (1 gal) of water thoroughly drenching growing medium. Like all other CX Horticulture products, is designed specifically for consumable crops plus is safe to use with any nutrient regime, will not affect beneficial microorganisms and is Non-toxic and completely inert so it doesnt interact with the plant in any way. Even saturation greatly increases the effectiveness of TaNLiN. Hydrogen Peroxide will greatly reduce the effectiveness of TaNLiN. You cannot overfeed with TaNLiN and can use through flush. There are no after-taste effects. Must be stored between 37 F and 72 F (2 C – 22 C). Refrigerate if necessary. Do not freeze.